An art gallery can be a disorientating place. Just ask the person who accidentally stepped on a Yayoi Kusama pumpkin or the man who was taken to hospital after falling into an installation by Anish Kapoor. Either of these people should definitely exercise extreme caution when visiting Space Shifters, a new major exhibition at the Hayward Gallery, which is all about altering our spatial perceptions. In the show, works by Kusama, Kapoor, and a number of other leading international artists use mirrors and reflections to disrupt the way we see the world around us. 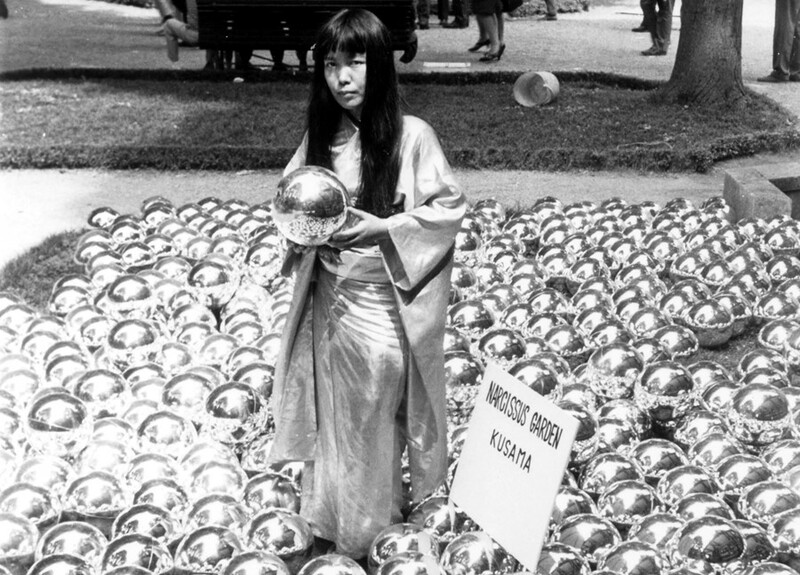 In Kusama's iconic “Narcissus Garden”, hundreds of stainless steel balls transform the gallery floor into an ommatidial landscape of reflected images. 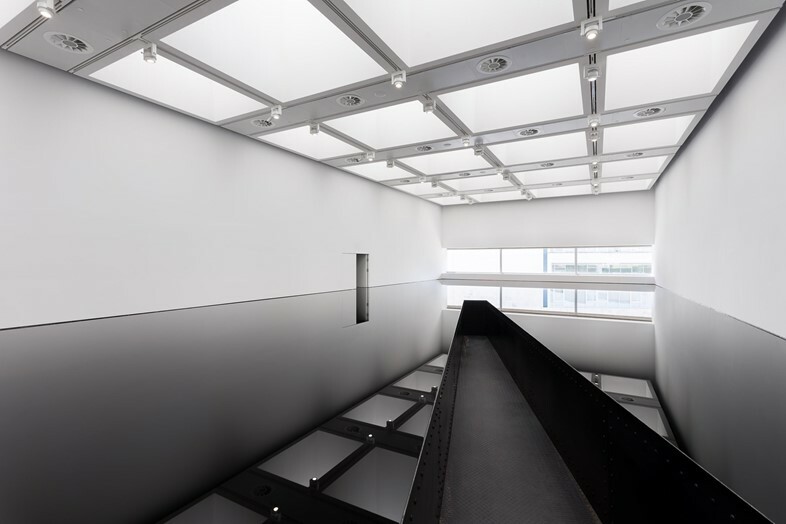 Where Richard Wilson has recreated his monumental installation “20:50”, which uses thousands of litres of recycled oil to create an awe-inspiring horizon within a single room. Adding to the many dizzying spectacles is Josiah McElheny’s continual performance work, “Interactions of the Abstract Body”. The piece enlists dancers in mirrored costumes to weave through the gallery space, interacting with visitors as well as other stationary sculptures. Space Shifters marks the conclusion of Hayward's 50th anniversary year, so some of the works have been specially commissioned to highlight the gallery's unique architectural features. Brazil-based artist Daniel Steegmann Mangrané uses chained curtains to echo the gallery's pouring concrete stairwells, while Portuguese sculptor Leonor Antunes created a piece which hangs from one of Hayward's new ceiling coffers. Featuring 20 works from the 60s to the present day, the exhibition has been described by the Hayward as an “alternative history of minimalism”. Often simplistic in their design and use of materials, the artworks on display nonetheless present viewers with an infinite number of ways of seeing themselves and the architecture of the gallery. Just mind you don't get hurt while taking those selfies.